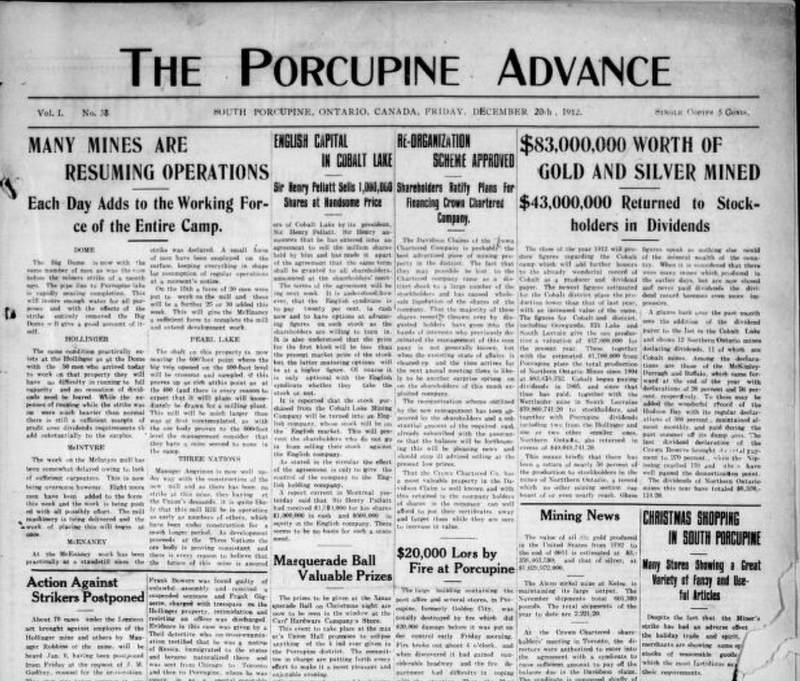 Thanks to my friend and fellow genealogist, Gail Dever of Genealogy a la Carte, I learned today that there is a newly digitized Ontario newspaper available on Our Ontario. 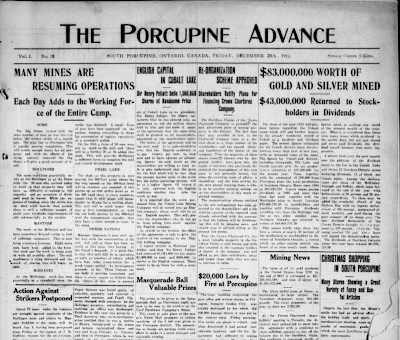 Thanks to the Timmins Public Library, The Porcupine Advance is now searchable from 1912-1950. According to the Press Release "Full-text search capabilities and digital imaging permits the user to browse, search and download this information, which opens up research possibilities to a completely new level. In addition to full-text searching, both an Articles index and a Birth/Marriage/Death announcement index exist to facilitate browsing." A few years are missing: 1913, 1914, and January to June 1915. You can start your search of this Northern Ontario newspaper on Our Ontario. Thank. It is always good to know there is more inform action online, easy to research!